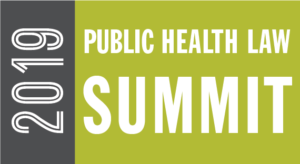 Whether you’re working in public health or other sectors that impact health outcomes, this summit is ideal for you. Register now! Attendees are eligible for 13 Continuing Legal Education Credits. To receive the credits, attendees must register for the full summit AND register for Continuing Education Credits. Summit staff will apply for the credits on behalf of attendees. Anna Schmalzbauer, Senior Program Manager, aschmalzbauer@networkforphl.org.